As I clamber deep into the cavern of death, I stumble over human skulls and the remnants of ancient coffins. The light diminishes as I ascend deeper. The smell of the dead fills the stuffy humid air. Outside the drums beat deep from the funeral processions vibrating the cave walls. My Torajan guide pauses from the foot of the last tomb, and gazes into the deep darkening chambers of the cave. This is where they lay to rest, the ones before us Torajan. The ones who we come from. 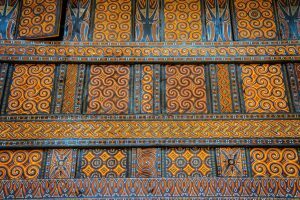 Tana Toraja is a tribal region located in the central interior of the island of Sulawesi, Indonesia. 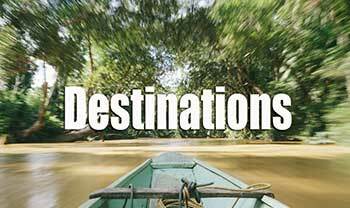 The region is very mountainous and thick with dense jungle. Unfortunately, as is the case with most of Indonesia, much of the forest has been slashed and burned. 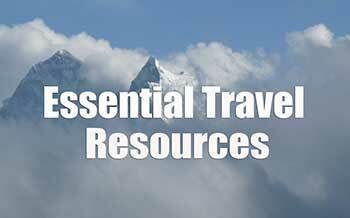 That being said, there still are many national parks filled with wildlife and adventure. 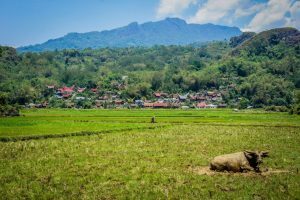 Outside Tana Toraja’s commercial centre, Rantepao, there are numerous small Toraja villages that dot the countryside. 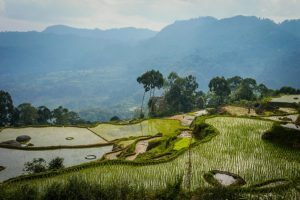 Many of the hills have been transformed into jaw-droopingly beautiful rice terraces that climb impossibly high into the mountains. 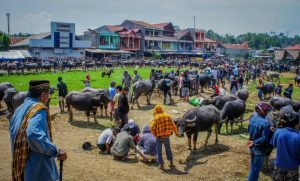 Water buffalo roll in the mud while children run with their pet pigs around the town. The setting is absolutely stunning. The villages here remain incredibly traditional. Locals often still opt for old-fashioned Tong-konan, rather than modern houses. 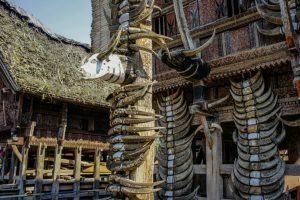 Tong-konan are colorful longhouses raised from the ground on stilts and decked out in buffalo skulls. 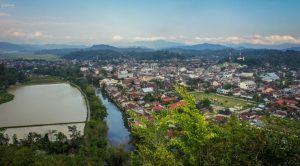 Getting to Tana Toraja is not as simple as one might think. However, this is why it has retained its traditional vibe, revealing very little indication of the impact of tourism. 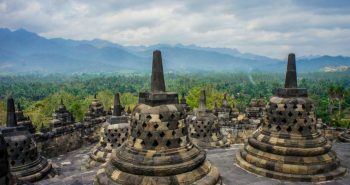 Most major cities in Indonesia (Jakarta and Denpasar to name a couple) provide flights to Sulawesi’s capital, Makassar. From this busy city, there are bemos (mini buses) to Rantepao. The journey takes anywhere from eight to twelve hours, depending both on road conditions and the reliability of your bus. Fortunately, there are no airstrips in Rantepao, leaving this to be, basically, the only option. 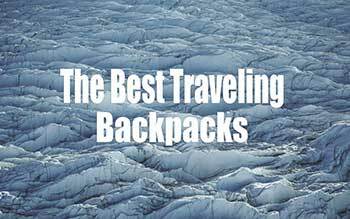 This is actually great, because only the most hard-core and dedicated travelers make it here, allowing a select few to find solitude in this otherwise well visited country. The bemo ride to Rantepao is not luxurious by any means. Breakdowns are common, and overcrowding has been reported. My bemo ride from Makassar to Rantepao took eleven hours. For me, the journey was fantastic! Locals hopped on and off and shared stories with me. Pigs and goats were hauled on top of the bus and tethered down. The bus also made frequent stops so we could grab snacks and beer. Time went by fast and the scenery was incredible. My journey back to Makassar however was quite different. The bus was comfortable and air-conditioned. It only took eight hours and was quite uneventful. But the scenery was still great! 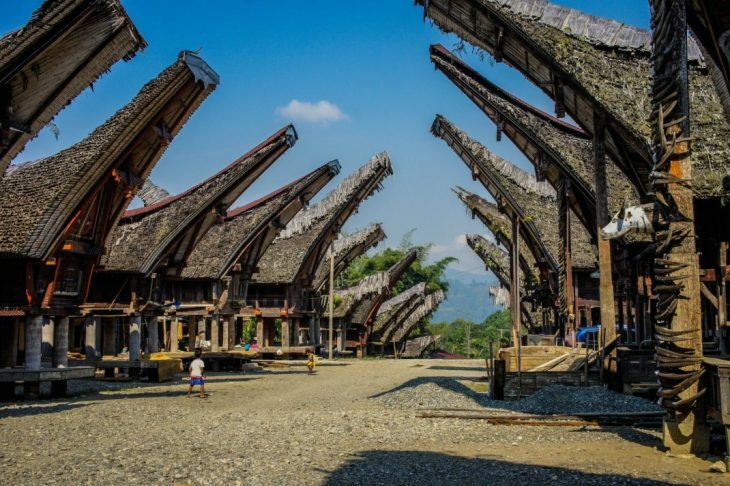 Visiting the Toraja is like being in a National Geographic documentary. Adorned with traditional jewellery, these people still live by many traditional values. 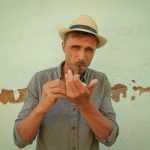 Their beliefs are often intermingled with Christianity, “introduced” to locals by the Dutch in 1905. 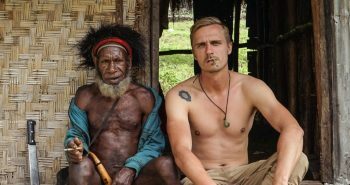 Such a complex blend of tribal culture and colonialism makes for some very interesting beliefs. 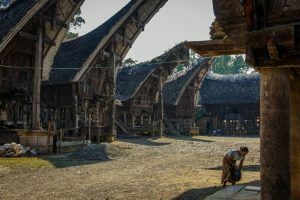 The Toraja culture is centered on its ceremonies. The funeral ceremony in particular is of great importance. 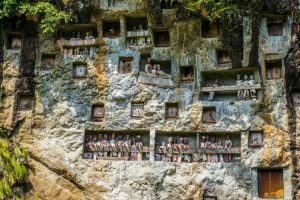 The Toraja believe that when one dies, they not truly dead until the funeral ceremony is complete and they are laid in the burial caves. 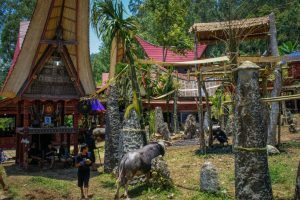 Being invited to a Toraja home before the funeral is a great honour. 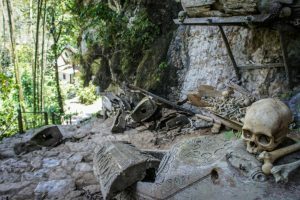 One must respect and follow Toraja customs, all while acknowledging that the deceased is still seen as being among the living. Be prepared to offer cigarettes or crack a beer for the deceased. Other gifts are also very welcome. In the drier months of July or August the funeral begins. The deceased are often kept in the house until this point. The funeral will span over a week. 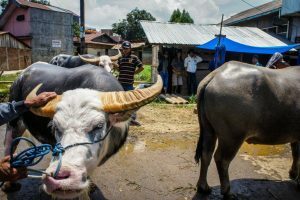 Countless animal sacrifices, Toraja music, drinking your face off and eating until your stomach nearly explodes are common practices at these funerals. Arriving late at night into Rantepao after an eleven hour bus ride, I was left to wander the empty streets of the city. It was dark, the flicker of street lights added to the slightly creepy setting. I was alone. In the distance dogs barked, on the horizon was the darkened outline of mountains. Suddenly I heard the bell of a bicycle ringing. Around the corner came a rickety old rickshaw. The rickshaw driver approached me and asked if I was lost. Of course, I tried to act like I knew where I was going, but in reality I was very lost and slightly sketched out by this street that was reminiscent of some scene out of a horror film. After negotiating what seemed like a friendly price with the rickshaw driver, it was agreed he would to take me to a cheap guest house. He pedalled us around the corner, possibly only 500 m from where we had met, and we arrived at a guest house. 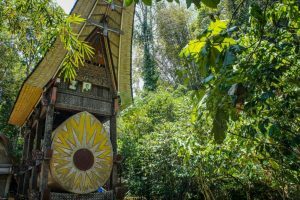 I painfully handed over the Rupiah we had agreed on and entered the dimly lit guest house, which was oddly named “Duta 88 Cottages”. At about only 15 US dollars, the price for a room seemed fair. The attendant led me into a garden filled with colorful plants and lights that led you to the rooms. The rooms turned out to be Tong-Konan! That’s right, for this price you can get your own Tong-Konan. 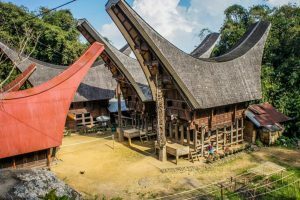 This was a great introduction into Tana Toraja. My Tong-Konan came equipped with a wooden bull head protruding from the entrance, bamboo floors and even satellite TV that worked occasionally. 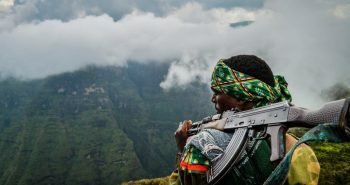 The next day, at breakfast, I was approached by a guide who told me there would be a funeral happening today. It was a local chief’s funeral, so there would be hundreds in attendance. I negotiated a price for the use of a motorbike, as I wanted my own wheels, and we were off to the funeral. Before we arrived, my guide explained to me that we would need to buy the deceased a gift. So, I stopped at a nearby grocery store and picked up a few sacks of sugar, as I heard this was a good gift… I was wrong. 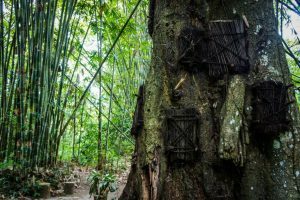 I was informed that the chief enjoyed two things: smoking his tobacco, and drinking his Tuak (a fermented palm sap alcohol that tastes like vinegar). I had already bought the sugar, but back into the store I went to purchase 30 extra-large packages of cigarettes, and a large jug of Tuak. First, of course, we had to give our respects to the deceased chief. We visited his house and I gave him his many packs of cigarettes and jug of Tuak. The sugar I gave to his elderly wife, as she was keen on having it. Now I know what you are thinking; that the chief was dead. So, why was I giving him gifts? He had actually passed about seven months ago. But as Toraja customs go, he was not yet gone. His was among the living in spirit. The people around me treated him like he was still there, and I too begin to feel like he truly was. Maybe he was really gone, but he defiantly lived on through the spirit of his amazing family and friends. Soon the funeral began. The chief, in his brightly painted coffin, was brought out to the funeral grounds. The grounds were filled with Traditional live music, and the apparently limitless supply of Tuak intoxicated hundreds of people. I was seated down next to the Chief’s son, telling him about where I was from. Mid conversation, a petrol canister filled with Tuak was placed in front of us and we began to gulp down gallons of the stuff. Tuak by any means is not delicious. After you drink, say, four or five portions, the bitter vinegar taste, laced with a slight tinge of petrol, begins to fade, as you succumb to the fuzzy effects of this tonic. Luckily, Tuak does not have a very high alcohol percentage, and you are expected to drink as much as your new found friends are. Tuak-buzzed, we all were ushered to the main Tong-konan in the grounds. 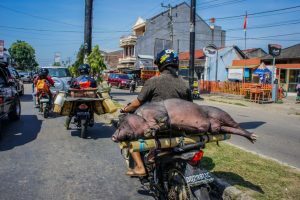 Many water buffalo and pigs came with us. Little did I know, the friendly animals that accompanied us were actually being brought for sacrifice. Don’t get me wrong, I love animals. I am certainly not particularly fond of killing them. But, in this situation, I keep an open mind. This was their culture, not mine. When it all began I did not flinch or look away. I watched in awe and I felt nothing but happy to be a part of this amazing place and time. The buffalo’s head is held high and a man wielding a Toraja blade runs at the buffalo, slashing its throat wide open. The buffalo dies fast and then another buffalo is brought in, accepting his fate. The pigs were also sacrificed, some were given a spear to the heart. For many, this would be overwhelming to watch. Again, keep in mind that this is local culture. 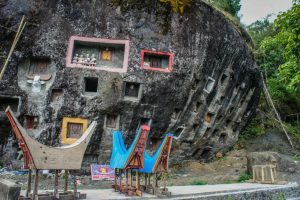 The Toraja do this to honour the dead chief. They believe that this will allow the chief will take these buffalo and pigs with him to the afterlife. The sacrificed buffalo and pigs are cut up, cooked in a steamy pot of organs and meat, and served to the hundreds of people in attendance. This day fifteen buffalo and thirty pigs were sacrificed for the chief and to feed all of us. The next day, the chief would receive his final send off. This was the sixth day of the funeral. It began with the deep bass of drums and gongs. Chanting began and incense was burned. 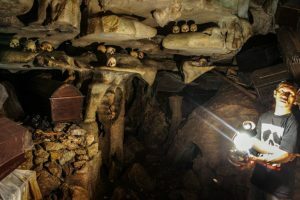 Then the entire group marched the coffin into the caves. My new friend and guide told me that, at this time, it would be a good idea to go and explore some of the more ancient burial caves. We rode our motorbikes for about an hour into the jungle. The crumbling, paved roads gave way to muddy roads in awful condition. My guide pulled in front of a small trail marker, which happened to be the skull of a buffalo. He said, “From here, we walk”. We walked deep into the thick jungle. The trail was well maintained but defiantly had that “off the beaten track” feel to it. It lead us to the giant opening of a cave. 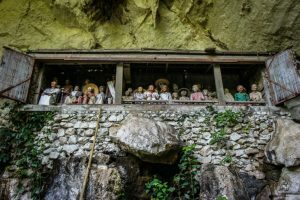 The entrance of the cave was guarded by the Tau Tau, wooden effigy that the spirits of the dead reside in to watch over the caves. Their eyes seem to follow you as you enter through the dark entrance. Inside the cave there are coffins everywhere. Most look new, but the further you walk into the cave, the older they get. One by one the coffins begin to change. New, stained wood turned into grey, rotting wood. Further in, the coffins had carved figures of lizards and people on them. 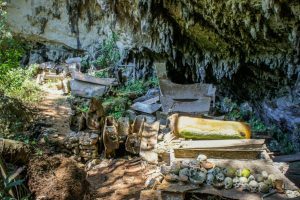 Further still, the coffins became to be so decayed that the bones of the dead scattered cave floor. Skulls were stacked on the walls by the hundreds, and the larger bones in piles below that. The light began to diminish so we lit my guide’s gas lantern, allowing us to venture deeper. At the end of the cave, there were only a few bones left. The coffins were completely decayed. “These are the bones of the first Toraja” my guide says. He picked up a ivory bangle off of one of the bone arms. “This jewelry is made from ancient tiger” he said with great intrigue. I was shocked by how long they have been burying there dead here. 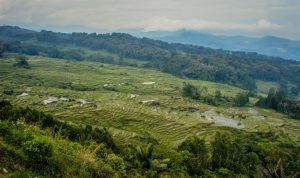 My guide then told me that the bones of the first Toraja were examined recently because of how disfigured they looked. He said that the anthropologists could not trace where these bones came from, or if they were even human. “I believe they came from another world” My guide exclaimed with wide eyes staring into the final depths of the cave. 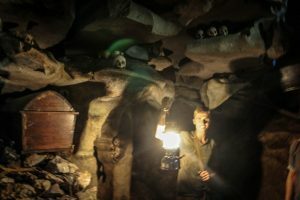 We crawled through a few more small cracks in the cave walls, and entered into more burial chambers. The smell of newly buried corpses became pungent. The light burned my eyes as we finally found our way out. The fresh air was needed. We hopped back on our bikes and cruised back to Rantepao. One Last Creepy Note, They Bury the Deceased Babies in the Trees! 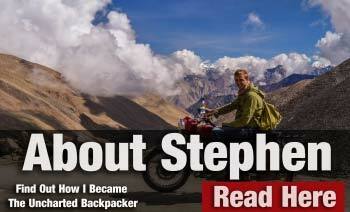 Get on a Motorbike and Explore! 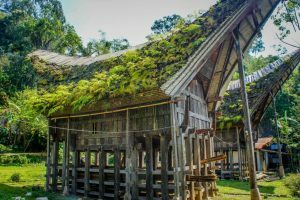 Tana Toraja is full of mind blowing culture and amazing people. 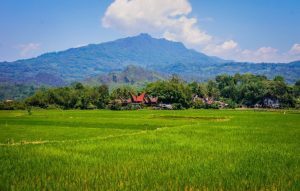 Get on a motorbike, and explore the nearby mountains and rice paddy fields to reveal some of South East Asia’s most stunning scenery. I rode for three days in the area. 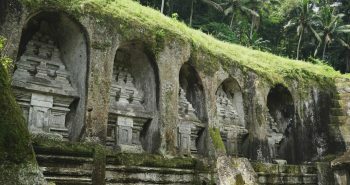 You can visit more burial caves on your own, small villages, mountains with concealed hot springs, and learn more about Toraja life in the rural areas. In Rantepao, there are many places where you can rent a motorbike or scooter for cheap. Be sure to check the quality of the bike beforehand, and agree on what will happen if you cause damage to the bike. 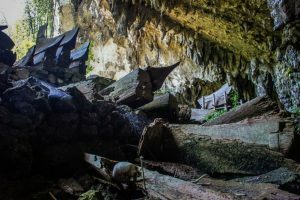 There are plenty of more Burial Chambers, Tau-Tau and remote villages you can see on your own. When you arrive to these places always ask someone first before you enter. 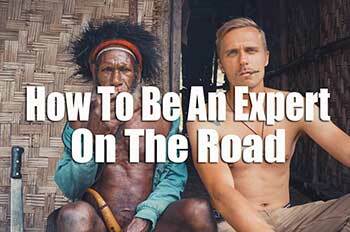 Many times a local will guide you into a cave or village for free! 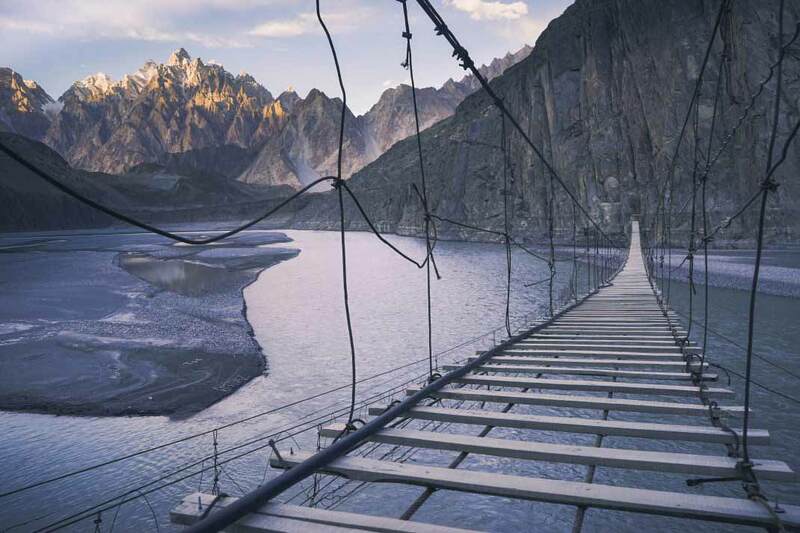 If you are looking for a real adventure than this is the place to come. 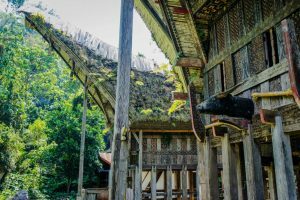 Tana Toraja is like stepping into a National Geographic Documentary. 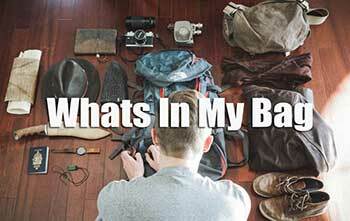 So much is yet to be discovered in the amazing place! 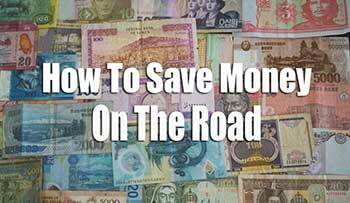 Cost: Motorbike – 15 US Dollars per day. Tong-Konan room – 15 – 40 US Dollar. 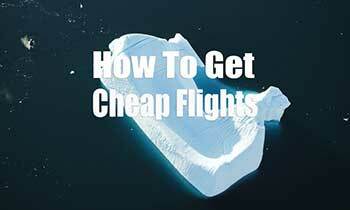 Tips: try to visit in July or August when funerals are happening. 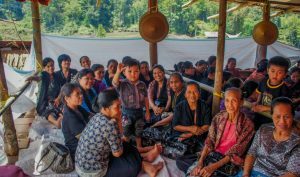 Ask around in Rantepao to visit a Funeral, do not just show up. Respect the local customs, do not voice your opinion regarding what you think about them. Try the rice and pork cooked in bamboo; very delicious! Wow! 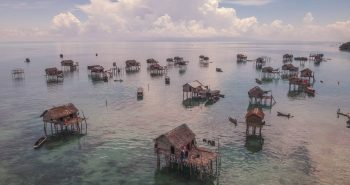 South Sulawesi has been on my list for some time, so I’m bookmarking this (hopefully) for next year! By the way, what a unique experience! Wow! Ya it was incredible! I cannot wait to go back, you should defiantly make the trip there!